To have a presence in the World Wide Web, you need a domain name that is currently registered – and preferably owned by yourself. A domain name is a people-friendly way to manage the internet which would otherwise be full of gazillions of numbers- known as IP addresses. Domains Names are purchased from Registrars or their agents like Oceania, and there is a fee to “lease” the name on an annual or bi-annual basis. Registrars have a lot of rules about domain names to safeguard the owners. It can be big business. In 2009 the domain name “insure.com” sold for $16M. Registrars will ONLY provide notifications to your Registrant Contact Email Address. You need a Domain Agency who will help you choose the right name for your web presence. Our simple domain checker HERE will help find the more common extensions, like .com; .net; .com.au etc. Over 400 latest TLD’s have become available, like .today or .photo or .academy; even .beer. See latest releases here and please contact us for assistance with price. New names are being released every month. 1. A domain name should reflect your purpose on the World Wide Web. If your website is about elephants it will not be useful to use a registered domain name like softdrinkbottlemanufacturersperu.com – even if every single page is about big grey jumbos. 2. The internet will always display your domain name in lower case. No spaces or fancy characters are allowed. Letters of the alphabet, numbers and the short dash (hyphen ‘-‘ ) are permitted. A name can be stripped from you if you acquire it wrongfully. In Australia you need to supply an ABN to qualify. If a business name is used by someone who is not registered or cannot demonstrate close resemblance to the name, disputes can be lodged against the registrant. Ensure that notifications about renewal can reach you by keeping your Registrant contact email up to date AND accessible. Oceania will issue email advice 90 days, 60 days and 30 days prior to the expiry of your domain name. After expiry Domain Names can still be renewed for up to 30 days after the renewal date. However, any web site or email services associated with it will stop working until it is renewed. We encourage you to double check any communication about your domain name with Oceania first to avoid falling prey to possible shysters. We do not use any other providers. 8. Keep your Contact Address Current. Log in to the Members Area Domains Tab and check that the Domains> Contact email address for your domain name is current and accessible. Notifications are sent to this address and failure to ensure it is up to date can mean you lose your domain name. 9. It is mandatory to comply with Verification Requests. Simply click VERIFY link in the event you receive a notification from us to verify any changes to your domain name registration details, like address, contact email or phone number. 10. Domain Privacy – your contact details are hidden. Contact Privacy is Available on gtld Domain names (Not available for auDA domains). We can enable Contact Privacy for a domain at any time for you. Simply contact us via the Ticket System or phone 1300 301 990 to tell us which domain name you wish Contact Privacy to be set up on. Contact Privacy also auto-renews (and incurs any associated cost) at the same time. Use our handy domain checker tool to assist you to find a perfect domain name for your website. Click HERE for a single domain. Click HERE to check bulk domain names. Call 1300 301 990 if you need a domain name extension that is not listed. 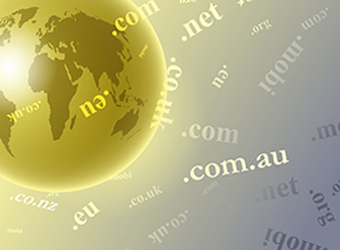 We are able to register any domain name for which you meet the country qualifications. ICANN’s Registrant’s Benefits and Responsibilities page. By registering a domain name you have entered into an Agreement as per the Legal Notifications above. ALL transfers of domain name to Oceania or away from Oceania must comply with the new ICANN regulations above.